Day 88 of #the100dayproject and my #realandendangered project. 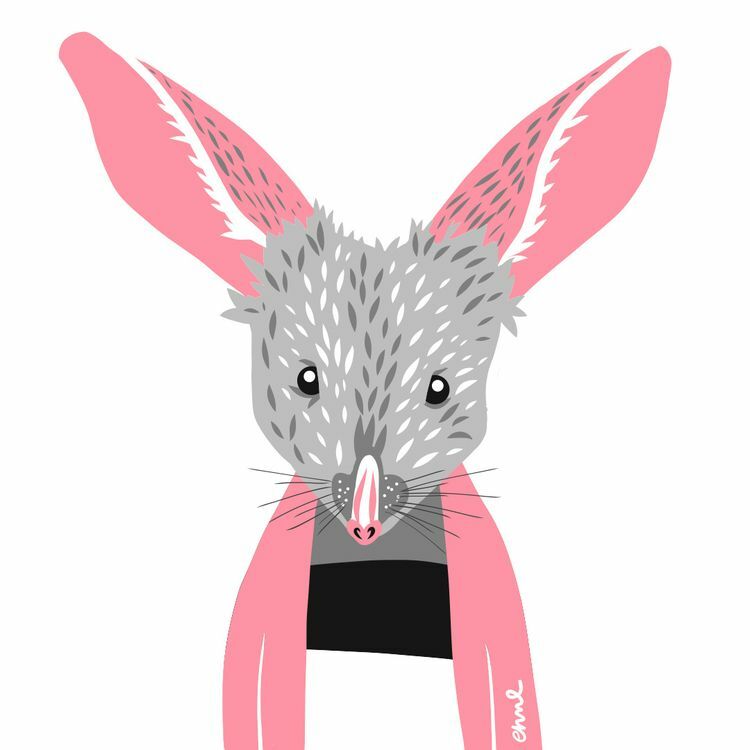 Today we are going to look at another species from Australia, the Greater Bilby (also known simply as Bilby, but also Dalgyte, Pinkie, or Rabbit-eared bandicoot). Here'a bit more information: 1. They are largest of the small, rat-like marsupials known as bandicoots. 2. They not only have oversized hairless ears, but also kangaroo-like long slender hind legs and a long tail that has grey, black, and white color blocking. 3. They are nocturnal and spend the day in burrows that spiral into the ground. 4. They inhabit arid areas (mainly associated with tussock and hummock grasslands and acacia shrublands). 5. Females have a backwards-facing pouch for their young (it keeps dirt out during digging, which they do to find food).